HP must operate non-stop during the winter period, which leads to increased costs and continuous noise. TB can be switched on or off as needed, or by the user wishes. 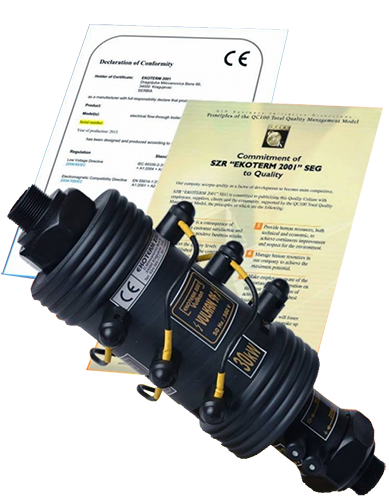 You can order our products via order-form on our website and it is the best way to avoid a lot of copies, which are very common worldwide. We are currently looking for partners in selling and/or distribution worldwide, send us e-mail to check if we already have one in your country. 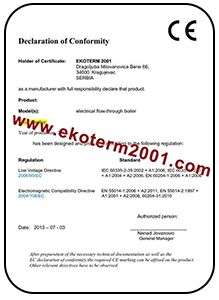 Ekoterm2001 technologies and products are subject to the principles of "Green technology" which is based on the concept of environmentally sustainable production, energy saving and the methods to avoid or mitigate pollution and the generation of waste. First and only original thermoblocks. Winners of greatest world awards in thermal-technics area. 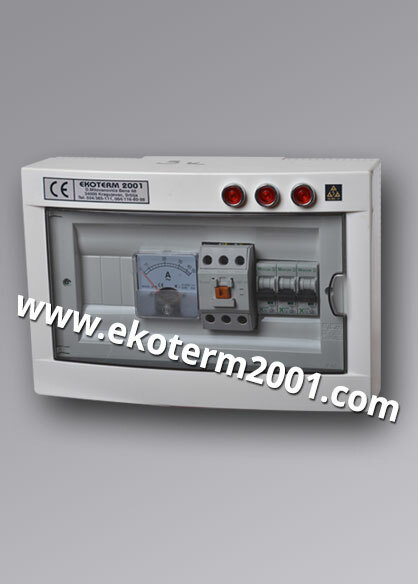 Company “Ekoterm 2001” is primarily producing innovative solutions from thermal-technics area, which are considered revolutionary and are accepted worldwide. 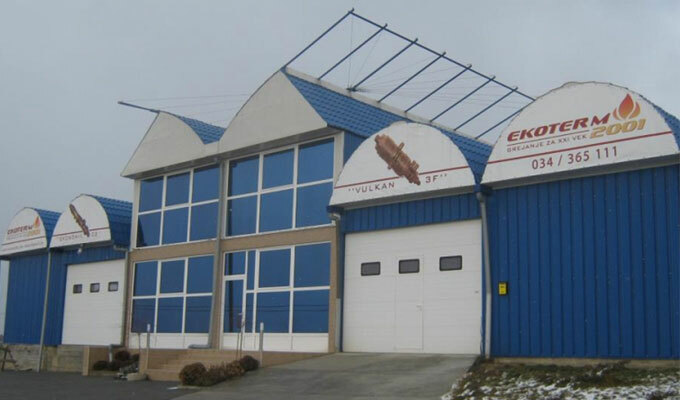 Company was founded in 1999, in Kragujevac. 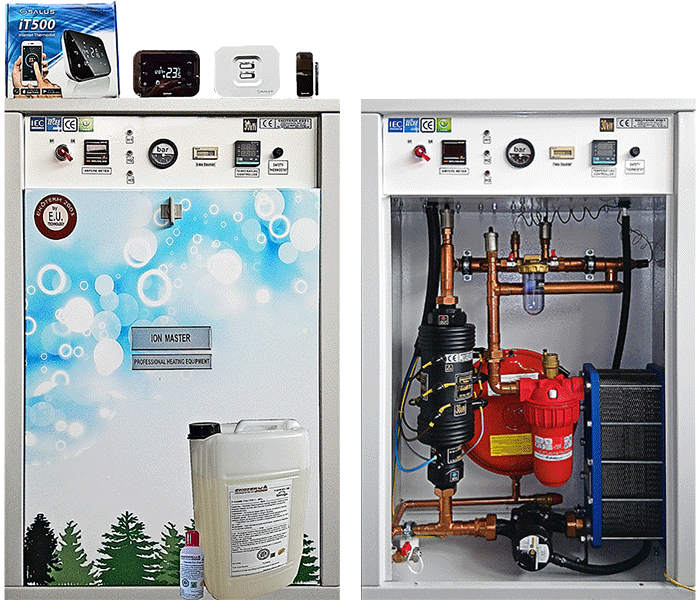 The main activity of the company is the production and sale of electro-ionizing flow boilers for central heating and other electro-heating bodies. 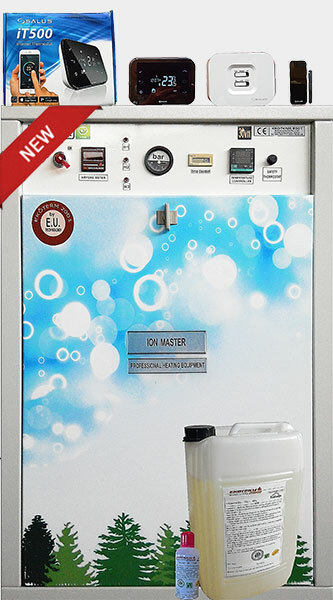 Products are subject to warranty only if an adequate fluid is inserted into the system. We recommend you: FE-1 / Fe-2. In any other case, the warranty is not considered valid. 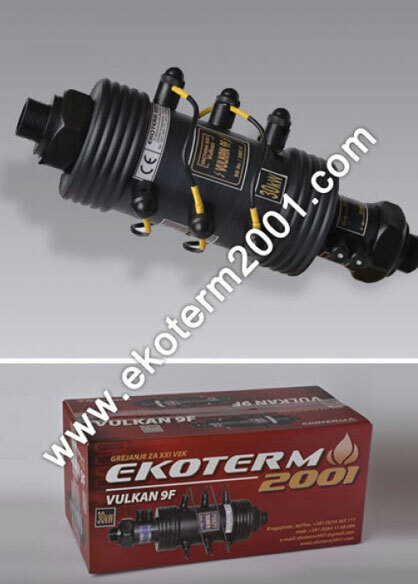 I bought Vulkan 9F from Ekoterm 2001 in 2013th. It is very efficient and almost noiseless. Most importantly, the electricity consumption is quite low. I would recommend this product to anyone who is searching for efficient heating at low price. I have thermoblock that is marked VULKAN 3F and it's power is 15 kW. For my apartment that has surface area of 80 square meters the relationship between energy consumption and heat output is excellent. Best wishes. In my home in Eindhoven I installed thermoblock. So far it is doing pretty well and I can give it a 5+ rating. My house is warm and in my opinion it has wonderful design. You don't even notice thermoblock in your house and trust me you don't hear a sound from it. 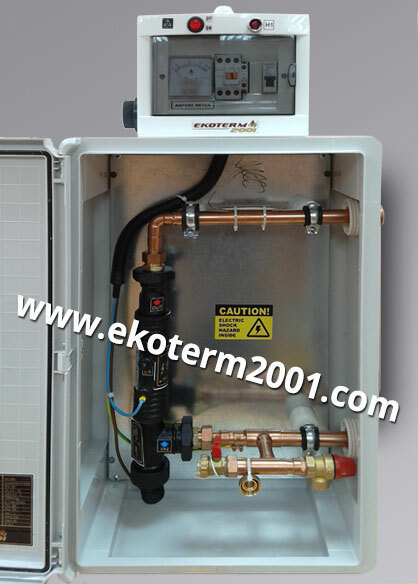 I installed thermoblock "Comfort Ion Master" of 15 kW, without any problems, it heats up my living space of 150 m2. When I bought the product, I thought it was interesting, and now I think it's extraordinary! All the best! By nature, I'm mostly unsatisfied by things, but this product really thrilled me! The installation is quick and easy, inaudible, clean, I simply forgot it exists. Best regards! I was skeptical about the whole story of heating on electricity. I thought it would be too expensive and uneconomical. However, I am pleasantly surprised by the economy, much less money is needed than I expected! I have always been research-minded, and I wanted to try a so-called “mini boiler room” with a pump, which had power of 15 kW. When I installed it, everything was well explained in the technical manual and it went smoothly. What left the biggest impression on me, the savings are real! I am really pleased, I strongly recommend these products to everyone! 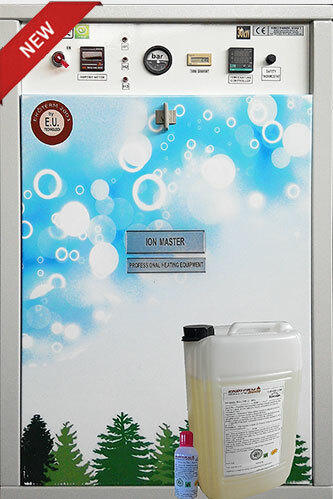 I'm extremely satisfied with the “Comfort Ion Master” thermoblok. I didn’t install and set up anything easier than this product. After installation, I literally forgot about it! 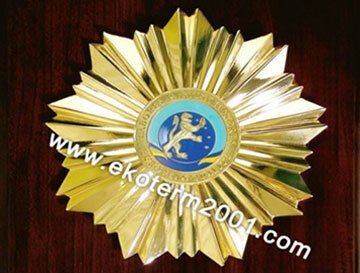 Thanks Ekoterm2001 for this great product! Best wishes! I always wanted a heating that is economical and requires minimal engagement. I finally found it! 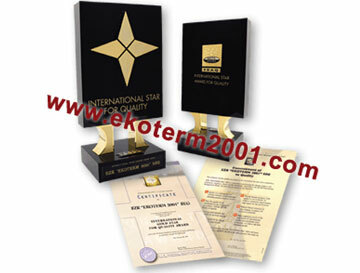 EKOTERM company won the world's most recognized prize for its products - a Gold Star for quality and innovations. 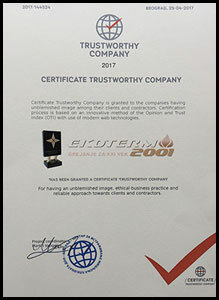 The company Ekoterm 2001, 12 December 2011 received the prestigious "European Award Ceremony" - "Oxford Summit of Leaders" (Oxford, United Kingdom). Subscribe to our newsletter and be the first to know about our new products and services.